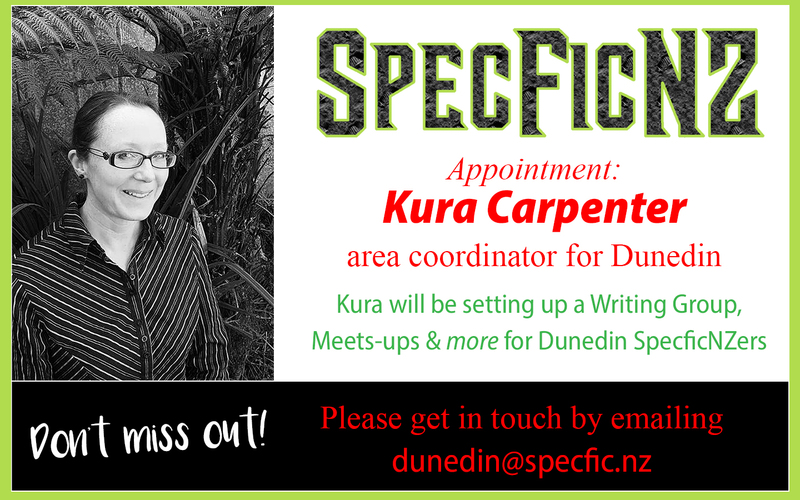 Dunedin Fantasy author Kura Carpenter is the newly (self)appointed area coordinator for Dunedin members of SpecficNZ. Kura is in the process of setting up the Dunedin Speculative Fiction Writers’ Group, a proactive group whose aim is to promote and support local writers of speculative fiction. They will meet monthly at the Athenaeum Library. Please contact Kura via her website https://www.kuracarpenter.com/ or email her at dunedin@specfic.nz for more details.